He trained in both Rheumatology and General Internal Medicine in Belfast and Nottingham and he is on the GMC Specialist Register with dual certification in both Rheumatology and General Internal Medicine. He was first appointed as a consultant Rheumatologist at the Queens Medical Centre, Nottingham University Hospitals before returning to Belfast. 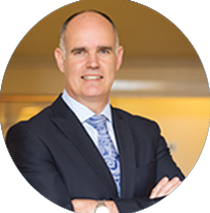 He is a Fellow of the Royal College of Physicians of Edinburgh, the Royal College of Physicians of Ireland and a Fellow of the British Society for Sport and Exercise Medicine (BASEM). He was the Northern Ireland Regional Specialty Advisor for Rheumatology 2007 – 2014. He is currently the Northern Ireland regional Rheumatology representative for the British Society for Rheumatology, and he is on the Irish Society for Rheumatology council. He holds EFSUMB certification and is a national tutor in musculoskeletal ultrasound. He has more than 20 peer reviewed publications across a range of rheumatic diseases. Cardiac involvement as the main presenting feature in eosinophilic granulomatosis with polyangiitis. Case Reports 07/2013; 2013. DOI:10.1136/bcr-2013-009394. Refractory anti-synthetase syndrome treated with rituximab. Can sonography be used to predict the response to intra-articular corticosteroid injection in primary osteoarthritis of the knee? Scandinavian journal of rheumatology 01/2008; 37(5):395-7. DOI:10.1080/03009740802050738 • 2.61 Impact Factor. Evidence-based clinical guidelines: a new system to better determine true strength of recommendation. Journal of Evaluation in Clinical Practice 07/2006; 12(3):347-52. DOI:10.1111/j.1365-2753.2006.00629.x • 1.58 Impact Factor. Rheumatology 02/2006; 45(1):102-5. DOI:10.1093/rheumatology/kei162 • 4.44 Impact Factor. Evidence-based uitspraken over oefentherapie bij osteoartritis van heup of knie – de MOVE-consensus. Journal fur Mineralstoffwechsel 09/2003; 10(3). The American Journal of Human Genetics 11/2002; 71(4):933-40. DOI:10.1086/343054 • 10.99 Impact Factor. Annals of the Rheumatic Diseases 01/2001; 59(12):936-44.